Dom Tomás de Aquino OSB is the Prior of the Benedictine Monastery, Mosteiro da Santa Cruz in Nova Friburgo RJ, Brazil. He opens the talk with a history of the Monastery and its relationship with Archbishop Marcel Lefebvre and Bishop de Castro Meyer. He provides a unique perspective of those who, like Dom Gerard, have went to Rome to "cut deals" and found the ways of Cardinal Ratzinger attractive. 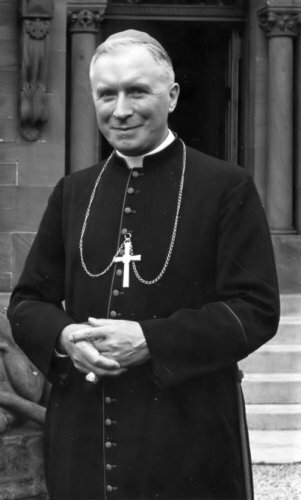 He describes, that what Bishop Fellay has said already along these lines (making deals with Rome) as being much worse than even Dom Gerard, and if Archbishop Lefebvre were still alive in the flesh, he surely would denounce Bishop Fellay, especially since Cardinal Ratzinger was someone who he (ApL) had described so much, and encouraged and repeatedly warned his sons so strongly to stay away from his deceptions. Click the Image above to visit the Monastery Website and you'll options to give them donations via PayPal in four different denominations. God bless you and Ave Maria!